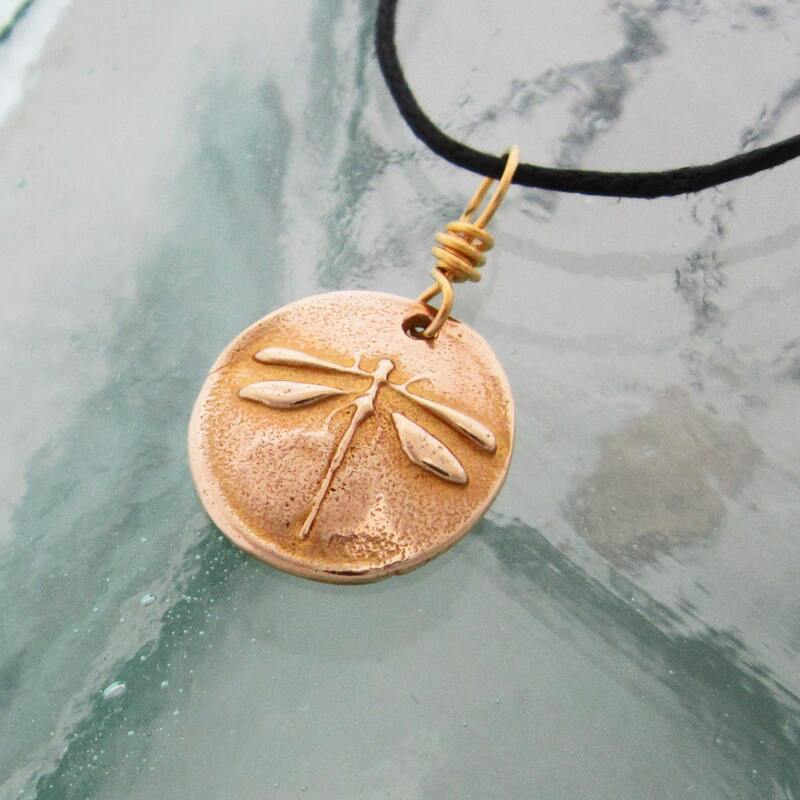 This handcrafted dragonfly pendant is cast golden yellow bronze. It measures approx. 5/8" in diameter and hangs just under 1" from the top of the gold filled wire wrapped bale to the bottom of the pendant. 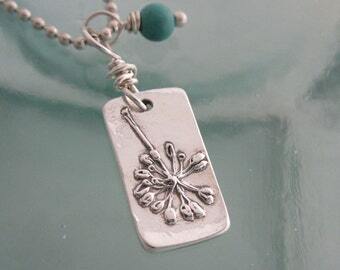 This piece hangs on an adjustable cord necklace which adjusts from about 13 1/2" to about 26" by sliding the knots. If you would prefer this piece on a gold filled chain or another necklace, please contact me to discuss your options. 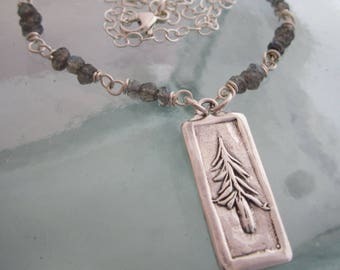 This piece is part of my cast collection and available in multiples or wholesale for larger quantities. Please contact me for more information if interested.